CADIZ, Ky. (June 3, 2017) – Kentucky State Police Post 1 Collision Reconstructionists are investigating a two vehicle collision that occurred Saturday afternoon, which claimed the life of one driver. BENTON, Ky. (May 31, 2017) – Kentucky State Police Post 1 is investigating a two vehicle collision that claimed the life of one driver, Wednesday afternoon. At approximately 4:00 p.m., KSP received a call from Marshall County Dispatch, requesting troopers respond to a two vehicle injury collision at the intersection of Highway 641 and Church Grove Road. MURRAY, Ky. (March 7, 2017) – On March 7, 2017, at 8:07 a.m., Kentucky State Police Post 1 responded to a report of a two vehicle collision on Highway 641 near Tobacco Road in Calloway County. Morehead, Ky. (March 21, 2018) – On March 20, 2018 the Kentucky State Police Post 8 in Morehead was notified of a collision on the Mountain Parkway involving a commercial vehicle and a passenger car. Rockfork, Ky. (May 4, 2018) – A two vehicle crash in Knott County claimed one life this morning on Highway 80. 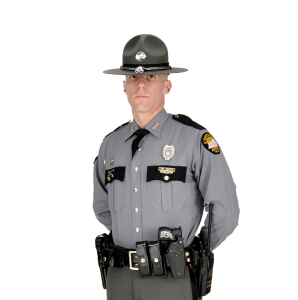 Cadiz, KY (May 1, 2018) – The Kentucky State Police worked a single vehicle fatality at the 64 mile marker on Interstate 24, on Monday April, 30 2018. IRVINE, KY(March 29, 2018) –The Kentucky State Police, Richmond Post was called just after 6:40 pm last night, and is investigating a two vehicle fatal collision that occurred on KY-82, north of Irvine in Estill County. Draffin, KY (April 23, 2018) Kentucky State Police Pikeville Post 09, are investigating a fatal collision that occurred on US 460 in the Draffin community. Lebanon, KY (February 25, 2018) – Tpr. Charles Hedgespeth is investigating a collision that occurred today at 10:51 EST, 1 mile west of Lebanon on KY 208.